Kristen directs and oversees Post Acute Medical’s analytic functions related to operations, compliance, documentation, reimbursement, and regulatory policy changes to improve data driven decision-making across the company. In addition, Kristen joins the acquisition and development team in securing acute care joint venture partners, given her clinical background and vast knowledge of hospital operations and data analytics, she provides the analytic skills necessary in determining market needs, clinical programming specific to patient populations, and quality data necessary to demonstrate the benefit of a PAM partnership. Kristen has over 20 years of experience in the post-acute healthcare industry and has managed hospital joint ventures, national and international de novo rehab hospital development, business strategy, clinical operations, and quality. Most recently, Kristen was a Senior Consultant for Fleming-AOD, assisting post-acute care clients to improve clinical services, navigate challenging regulatory changes, and maximize efficiency and efficacy through data analytics, operational processes, coding, and clinical care practices. 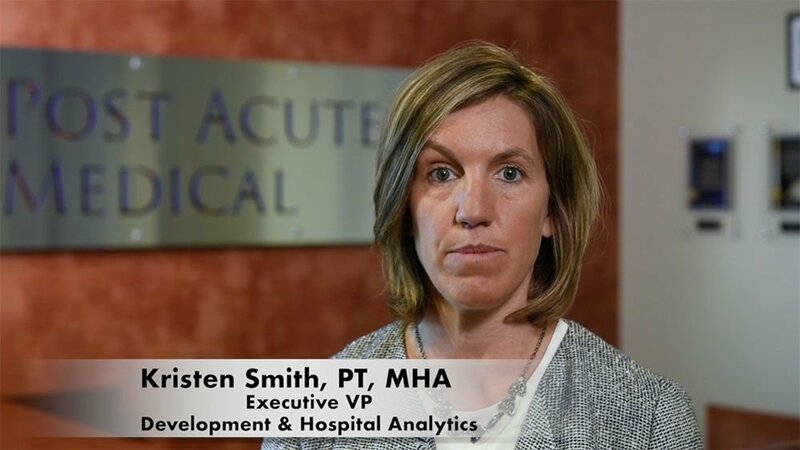 Kristen also served as Vice President of Quality and Rehab Clinical Operations at Vibra Healthcare, with oversight of their post-acute hospital clinical operations, quality, and safety. She collaborated in the development and implementation of the pioneering LTACH outcomes system LTRAX and managed compliance, CMS quality reporting (LTACH and IRF), outcomes data, quality assessment, and performance improvement across their post-acute hospitals nationwide.